Due to a sudden new measure prohibiting telemedicine on Nauru, medical humanitarian organisation Médecins Sans Frontières/Doctors Without Borders (MSF) is regretfully suspending its service providing remote psychological support to former patients there. On Friday 22 February 2019, the Government of Nauru issued new regulations prohibiting the practice of telemedicine in the country. 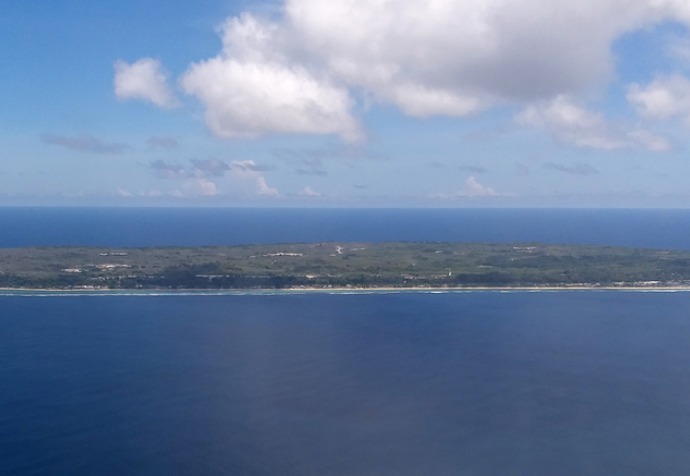 This came just after MSF started a remote psychological service providing continuity of care to Nauruan, asylum seeker and refugee patients MSF had been abruptly forced to leave Nauru in October 2018. “These new regulations constitute yet another major obstruction to the provision of independent medical care on the island. The decision diminishes access to mental health care for Nauruan, refugee and asylum seeker patients alike,” said Paul McPhun, Executive Director of MSF Australia. In the two weeks since the launch of MSF’s tele-mental health care service for former patients on Nauru, more than 40 people contacted MSF about receiving the service. This reinforces the assessment that services on the island itself remain inadequate and that the need for independent medical care remains high. “The sudden forced suspension of MSF’s service will have a detrimental effect on the patients we were forced to leave behind in October 2018. We urge the Government of Nauru to reconsider the implementation of these regulations, and accept the offer of additional mental health care capacity for the island,” added McPhun. The mental health suffering of refugees and asylum seekers on Nauru is among the most severe MSF has ever seen around the world, including in projects providing care for victims of torture. Many of these men, women and children have spent more than five years on Nauru, with catastrophic effects on their mental health. According to MSF’s Report Indefinite Despair published in December 2018, of the 208 refugees and asylum seekers treated by MSF during the 11 months on the island, 30% had attempted suicide and 60% had considered it. Furthermore, on initial assessment, almost 30% of MSF’s Nauruan patients appeared to have been neglected in terms of medical care, mainly due to a lack of available mental healthcare prior to MSF’s arrival. “It’s hard to see how these new regulations will contribute to the well-being of patients in dire need of mental healthcare. We are acutely concerned for our former patients. We simply don’t know how much more these people can take,” added McPhun. MSF reiterates its call to immediately evacuate all asylum seekers and refugees on Nauru to be resettled in a safe place where they can have fast access to permanent resettlement, alongside their families, so they can begin rebuilding their lives.